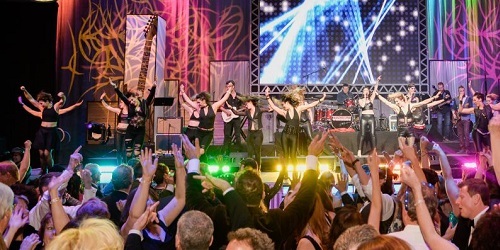 Imagine a high energy, eye popping stage show that will have your attendees on their feet and screaming for more. We bring together the best talent in the industry, from nationally touring singers and Broadway credited headliners to working, touring dancers, acrobats and specialty acts. Our name is on everything we do, so we take our casting seriously! We can assure you, the level of talent you are receiving is Los Angeles, Chicago and New York’s absolute best! We work with you as your creative team and to guide you through the process of establishing and developing the right entertainment package to fit your specific needs. Want to Request Entertainment for Your Next Event? Submit Your RFP Now. 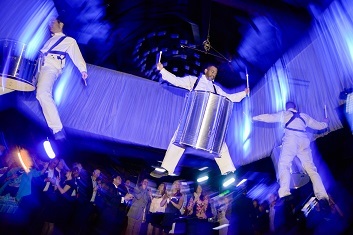 This 3-piece aerial drum group begins their routine on the ground to un-suspecting guests who don’t realize they will take to the air and perform a high energy and jaw dropping drum performance. This show-stopper is sure to have the crowd cheering! 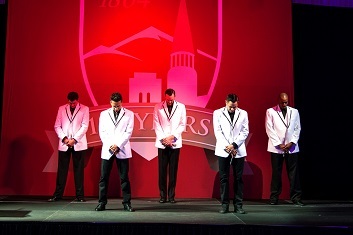 Our hip five-member boy band brings the best boy band music, hotness, dancing, coolness and humor to any event. Once they step on stage you’re guaranteed to have a lollapalooza of a party. Performances are easily customized for your group. 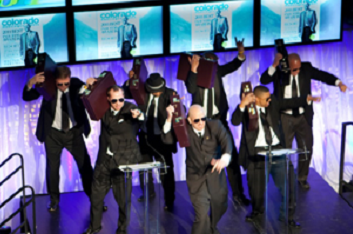 This high-energy corporate kicker features performers dressed in business suits and carrying their requisite briefcases. They come marching into the ballroom from all directions and perform a number that highlights a typical day in the life at the office. This talented and energetic dance troupe takes you on a journey through history. Using the most popular music from the 50’s through the 2000’s, Decadance has audiences reliving all of their favorite memories through dance. 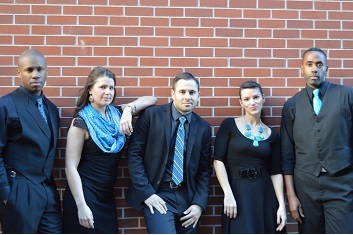 Imprint Group’s Decapella is a vocal group that brings fun and attitude to music from the past five decades. Using just five singers, they add excitement and flair to any event. No instruments, just vocals and good times! Everyone loves a great Flash Mob! 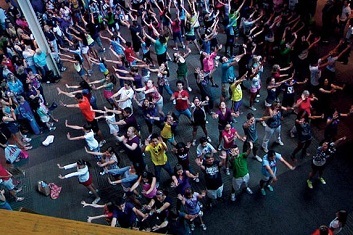 Customizable and clever for a variety of themes and locations, each Flash Mob is created for the specific client and event. From casting and costumes to choreography and custom music, they’ll be the talk of the event! If you are a fan of Pitch Perfect or Glee, then you will LOVE The Gleeks. This ensemble performs all of the fantastic Glee hits with the youthfulness and energy that the popular show displays. The Gleeks can also customize lyrics and songs specific to your event. HipHopera ties the amazing technicality of opera singing, with the raw energy of Hip Hop. 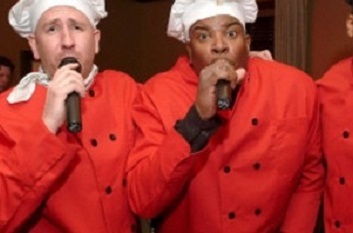 Using familiar Hip Hop tunes, but sung in Opera they even customize the lyrics for your event. 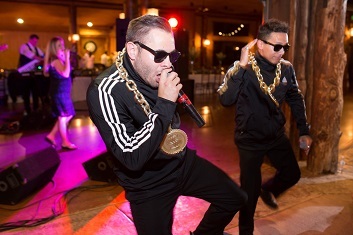 HipHopera is perfect to launch a conference, sales meeting or award show. This is an interactive show where the performers masquerade during your function before revealing their Operatic and Contemporary vocal talents. The performance(s) showcase an arrangement of numbers to their unsuspecting and admiring audiences. A high energy barrage of rhythm and energy, Rhythergy incorporates dancing, tapping, drumming, stepping and customization into each unforgettable performance. 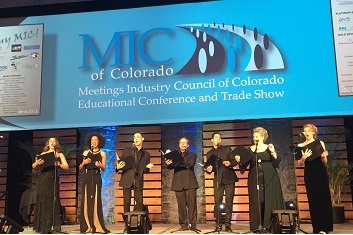 This 4 to 20+ member group is perfect to launch a conference or general session.